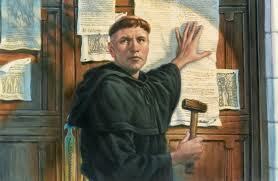 On this day, 496 years ago, Martin Luther turned the world upside down by posting his 95 theses for debate and discussion. To Luther’s mind, this was merely an invitation to scholars and students to review certain practices and teachings within the Catholic church. However, under God’s providence, his action became a catalyst for renewal and revival within Christendom. Previous Post What Is Covenant Theology?